The Infinity IT-7800 as the only all leather zero gravity massage chair that was designed to fit into any homes or office décor. The Infinity™ IT-7800 Massage Chair Relax and enjoy a full body massage, in the comfort of your own home! The Infinity IT-7800 Therapeutic Massage Chair offers relief and rejuvenation from head to toe. Relax and enjoy a full body massage, in the comfort of your own home! 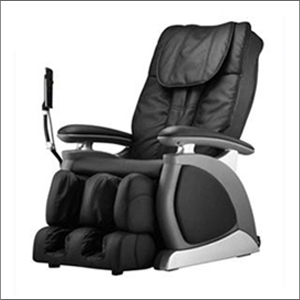 The Infinity IT-7800 Therapeutic Massage Chair offers relief and rejuvenation from head to toe. Your chair features 4 Auto Massage Programs, integrating several different massage techniques from Kneading to Shiatsu. Using the manual controls, you can customize your massage to target neck, shoulders, or lower back. The easy-to-use control panel also allows you to control the speed and strength; the perfect massage. Head to toe is the name of the game. Your chair features a Double Section Footrest which includes an incredible, 12 air- bag massage, to relieve tension in your calves, ankles and feet. Click the button below to add the INFINITY IT7800 Massage Chair to your wish list.